I heard someone say that the new County Animal Control (Grand Opening – First week in June – FINALLY!) was not going to be big enough to handle all of the cities’ business and the county’s. It is true that the county’s needs have not been addressed for 25 + years. And it is true that in many of our cities not the best efforts have been made to truly clean up strays. So we are definitely behind the curve in developing a county – wide program to address it. So if we suddenly had to house all strays in every city and in the county, of course we would not have the capacity. But you need to be reassured that we have studied the counties our size that have excellent animal control systems and our facility is the right size. The systems (and the capacity planning) we are putting into place are proven in their application for our size county. Yes, I am aware we will not be perfect. I am positive we will have some glitches in our start-up and application. I am sure we will have unanticipated situations (even though we have gone through exhaustive examination of what is in front of us). But I have great confidence in our appointed leader, Henry Dominguez, to adapt and improve. Not only will we be developing a very good animal control, but also the county will finally have the authority (and people) to handle such areas as: dog attacks, animal abuse and rabies investigation (laboratory and containment facilities). We will have licensed animal control officers who will also be licensed law enforcement officers. The county we took this idea from has the most effective program. They will not only be able to handle the animals, they will also be licensed to enforce the law and issue tickets. So, we ask everyone to start getting ready. Many volunteers will be needed. We cannot handle the serious lack of animal control in our county and cities the first month or even the first year. But if you work with us, we can develop a systematic, steady application of good programs that will get us there. If you all do that, we will, without a doubt, be able to handle the load. 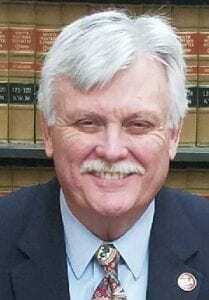 Bob Hurley is the Atascosa County Judge. 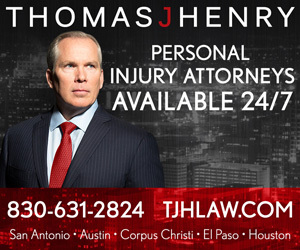 You may E-mail him at countyjudge@atascosacounty.texas.gov.